The team was testing a theory that there’s a new way to propel satellites, instead of using rockets powered by a limited supply of fuel. So they put a radio antenna in a specially designed, sealed container. Turned on, the antenna bounced 935MHz radio waves (similar to those used by some cell phones) around, and the container apparently moved a tiny, tiny bit. This violates Newton’s third law of motion, one of the basic tenets of physics. Right, the article is from 2014. However, the riddle got more interesting in 2016, when the same tests were conducted in hard vacuum… with the same results (it was initially thought that radiation heated air, which expanded, creating a push; without air, that counter-idea failed). Who are these “experts”? People who gave the Nobel Prize to each other? Newton did not “teach” us that action = reaction inasmuch as he demonstrated it (thanks to arcane mathematics). Before I explain what I mean, let me mention that Richard Feynman wrote a famous book “The Character of the Physical Law” (which I read). Feynman observes that there is a hierarchy of laws. Here I will observe something even more subtle: there is a hierarchy of how fundamental laws are viewed as fundamental. Newton ASSUMED this “Third Law”, he made an hypothesis of it (and the law was probably known to cannoneers for centuries). Using in part this action = reaction hypothesis, Newton was able to deduct, from a large axiomatic system, with lots of arcane mathematics, theorems. And some of these theorems had practical consequences which were found, or known, to be true (Kepler laws). So it was reasonably assumed that Newton’s Third Law was correct: it is an axiom the use of which bring the correct theorems. The same sort of reasonings established the First and Second Laws of motion, which were discovered by the stupendous genius Buridan, three centuries BEFORE Newton. To my knowledge, the Third Law was first stated by Newton. However, that law was certainly well-known by Roman artillery engineers, who were used to catapult large masses at enormous distances: they knew of the recoil all too well. Roman and European Middle Age artillery enabled to seize cities (armies which were less competent in artillery found seizing cities difficult to do; the Turks used Hungarians engineers to breach the walls of Constantinople with giant guns). Thus we see there are two sorts of physical laws: those we assume as axioms, and then we certify them, because the mathematical logic they give rise to bring apparently correct results. Other natural laws are observed directly. For example, the so-called “Standard Model” can be viewed as a sort of giant law. It uses, in its axioms, the so-called Higgs boson, and that was indeed found (sort of). 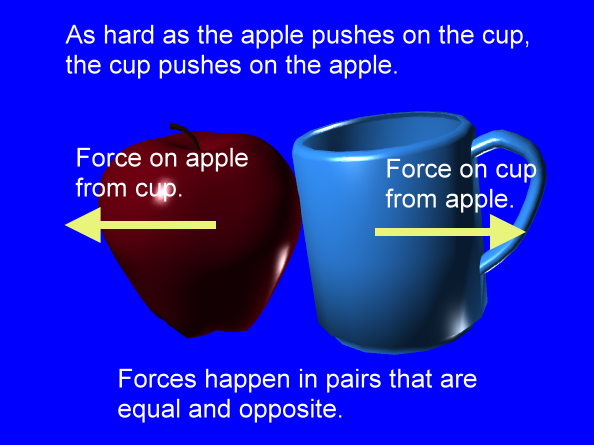 Examples of laws observed directly are numerous: they include the classical laws of optics, of forces (depicted by vectors; but one cannot use vector theory to prove how force behave… because vectors are abstracted forces), much of electrical behavior, etc. Some laws were deduced from axiomatics before being demonstrated experimentally. Newton’s crowning achievement was more or less) demonstrating the equivalence of Kepler Laws with the 1/dd inverse square universal attraction law… given the laws of “Newtonian” Mechanics. As I said, the laws of mechanics were greatly deduced by Buridan and various engineers, generations before Newton. Could the same be going on now? Who knows? It is a question of observation. Ultimately physics, nature, is what is observed, nothing less. It gets to be more than what is observed, because of our imagination, and the fact it needs to use the logics and maths it knows. Meta-lesson? Politics degenerated in the West, in the last 50 years, because what was really going on was observed only in a fragmentary way. This is in particular the drama of so-called “left”, or progress. We have to stick to what is observed. In the case of democrats, what was observed is that “Democrats” selected a candidate who was the object of 4 Congressional inquiries (Sanders had none, never had any).